Наверное я хочу попробовать слить прошивку с пика и залить свою, если получится - задизайнить верхнюю плату с трекпоинтом. Sounds very interesting. Let us know if you get any success with this. http://www.aliexpress.com/item/Free-Shipping-Black-10pcs-lot-3D-Control-Rocker-Analog-Joystick-Button-Contact-Rubber-Button-For-PSP/32228006150.html?spm=2114.01020208.3.2.qFsR7G&ws_ab_test=searchweb201556_7,searchweb201527_3_71_72_73_74_75,searchweb201560_3 should do the job of a decent pointing device i think. Love it! We just hate it when people order a Twiddler but don't tell us they are going to open it. We can ship Twiddlers without bonding them so you don't have to ruin the plastics or the PCB when you try to open it up. The bonding procedure takes the most amount of time in the whole Twiddler assembly process. Uhh, okay. I wasn't really expecting to see it being held together by nothing but glue. Great Tear Down! Next time just ask for a Twiddler that is unbonded. That way you don't have to destroy the case or the PCB. It is designed to flex (note: not bend) once. 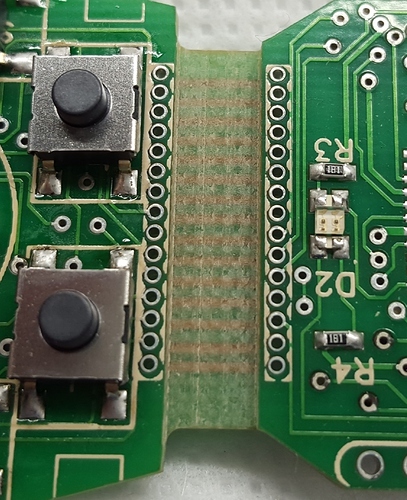 We did add through hole pads so that you can connect the two boards with wires if the flex connection broke. It is just a 1 to 1 connection. 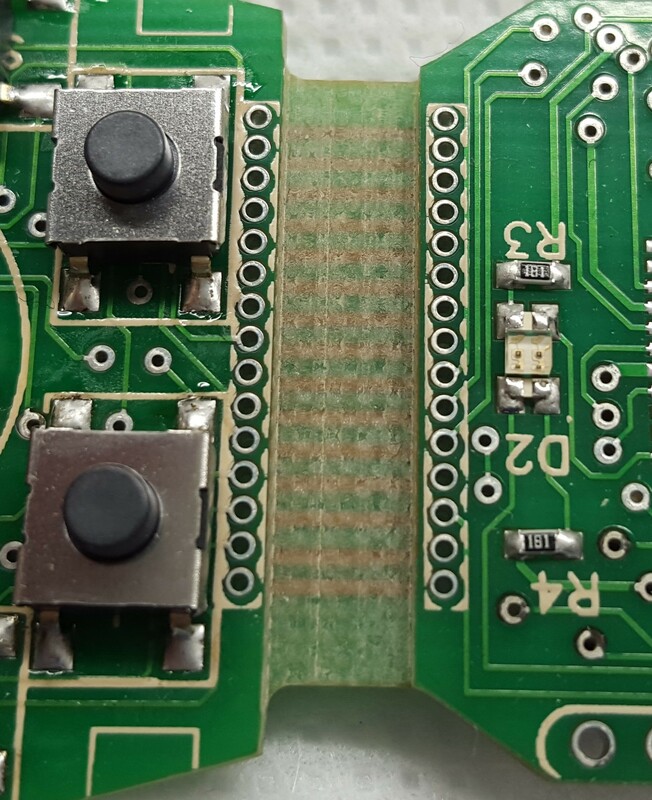 So you should not have much of an issue repairing your board. Ha! That glue allows us to get a firmer bond around the entire Twiddler than a clip or other mechanical connection would. Just look at the state of your Twiddler after prying it open. The complex shape of the Twiddler also lends itself to bonding over screws or clips.